BROOKLYN, N.Y., Dec. 6, 2018 /PRNewswire/ -- Camilo Correa, MD, a surgical oncologist specializing in cancers of the liver, pancreas, bile duct, and intestines, as well as soft tissue tumors, is the newest faculty member to join the rapidly expanding surgery team at NYU Langone Hospital–Brooklyn. "Dr. Correa has trained extensively in traditional open surgery, as well as laparoscopic and robot-assisted surgery," says Prashant Sinha, MD, chief of surgery at NYU Langone Hospital–Brooklyn. "His deep interest and advanced training in cancer research also enhances our efforts to offer more complex care right here in Brooklyn." A native of Colombia, Correa graduated from Universidad de Antioquia in Medellin. Fluent in Spanish and English, he came to the United States in 2007 for a clerkship and postdoctoral research fellowship at Harvard Medical School and Massachusetts General Hospital in Boston. This was followed by a clinical research fellowship in hepatopancreatobiliary (liver, pancreas, and bile duct) surgery at Memorial Sloan Kettering Cancer Center in New York. While in New York, he also obtained advanced certification in clinical research methodology and study design from Weill Cornell Medical College. 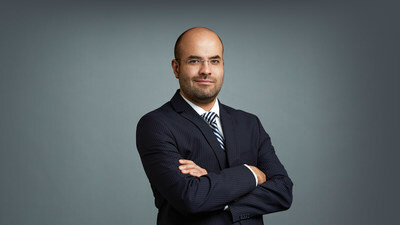 Correa went on to complete a residency in surgery at Indiana University School of Medicine in Indianapolis, and returned to Memorial Sloan Kettering for a fellowship in complex general surgical oncology. "In the gastrointestinal system, the liver, pancreas, and bile duct present the most complex diseases," Correa says. "Surgery involving any of these organs is challenging, which is precisely what attracted me to the specialty." In addition, Correa has expertise in colorectal, pelvic, and upper gastrointestinal surgery. "I am proud to be part of a team dedicated to the multidisciplinary treatment of malignancies with access to the vast clinical and research resources of NYU Langone's Perlmutter Cancer Center," he says. For more information about surgical services for cancer, please visit the Perlmutter Cancer Center website: https://nyulangone.org/locations/perlmutter-cancer-center. To make an appointment with Correa, please call 718-630-5777 or visit https://nyulangone.org/doctors/1134355753/camilo-correa.